When looking for a new dentist, you want to find someone who is experienced, knowledgeable, compassionate, and has a strong commitment to oral health. At Virtue Dental Care, we are committed to improving the oral health of our patients through safe, conservative measures. One of the biggest things that sets us apart is that as a mercury safe practice in Yadkinville, NC, we are mindful of the materials we use and never place amalgam fillings. In many traditional dental offices, amalgam fillings are used when there is a cavity that needs to be treated. Amalgam has been the choice of many dentists for decades due to its strength, affordability, and is easy to use. However, in recent years, the harmful effects of this substance have been brought to light. Composed of a mixture of metals, amalgam can contain up to 50 percent mercury, which is a known toxin. When a cavity is treated with an amalgam filling, the metal is applied to the gap in the tooth and during this process, the mercury becomes heated and vapors are released that can be both harmful to the patients and the staff. Mercury safe dental practices use only safe, biocompatible materials like composite resin. This healthier alternative looks better and is much better for the body. 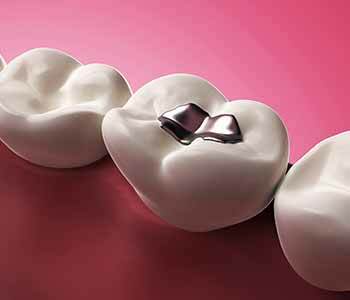 As we stated, amalgam fillings are made of up to 50 percent mercury. Mercury is used because it makes the filling pliable enough to mix and insert into the cavity, and hardens to support the natural force of biting and chewing. When the mercury in the amalgam filling is heated, which occurs many times in the life of the filling, it can release harmful vapors that are then absorbed by the body. This happens during placement of the filling, any time the person chews, brushes or grinds their teeth, or consumes hot foods and beverages. Damage during placement – Inserting an amalgam filling requires the dentist to remove a sizable portion of healthy tooth structure, which can weaken the tooth overall. Breaking after placement – Amalgam expands and contracts over time with changes in temperature, which puts the tooth at risk for cracking and eventually needing more dental work. Amalgam fillings don’t just impact our health, they also impact our environment. Amalgam is one of the biggest consumers of mercury in the world. This amalgam can end up impacting the environment through water and waste disposal. When you visit a mercury safe dentist, here are some of the advantages you will experience. 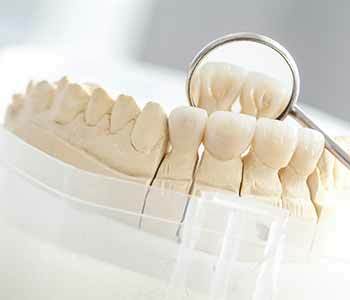 Dental fillings are less invasive. Whereas amalgam fillings can potentially weaken and damage healthy tooth structure, composite fillings strengthen and preserve the tooth. Restorations are long lasting. Composite fillings can last as long as amalgam fillings. Effective at improving oral health. Composite fillings can help seal off pits and fissures in the tooth to prevent future cavities. Fillings that are repairable. Unlike amalgam, composite fillings can be more easily repaired. When it comes to the health and wellness of our patients, the team at Virtue Dental Care is committed to providing services that are safe and effective. Being a mercury safe practice is one way we protect our patients from harmful dental materials. In addition to being mercury-safe we also offer other biological and holistic services designed to protect patients’ overall health. If you are in the Yadkinville area, we invite you to call us today at 336-606-0040 to schedule an appointment.